Among the various preparations about wedding ceremony, choosing of right wedding stationery is also one of the very important one. Your guests will get an idea about the wedding and know the details of various events that are going to happen on that day. Wedding invitation is the first impression of your guest about your arrangements. So, let us discuss about various options available for wedding stationery. 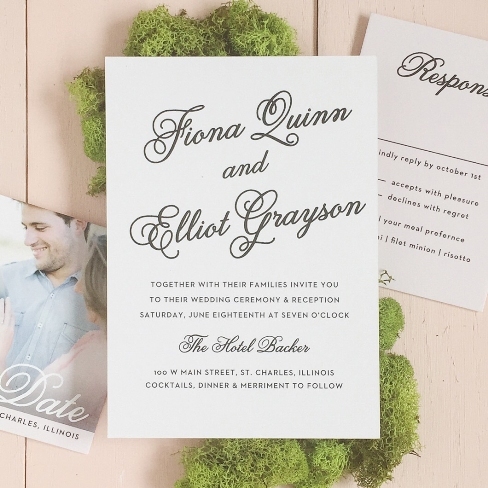 What are the main objectives of wedding invitation card? Wedding cards are not just to impress your guests, but they will fulfill your following objectives too. 1. This is a confirmed notification of your wedding along with the date, venue and timings of various events. Besides that, it is also an acknowledgement from your side that you consider the person whom you are inviting as a special person, whom you want to be present during one of the most important events of your life. 2. The kind of card and its style will represent your taste and you will let your guests know how you are going to treat them on this day. Of course, as mentioned earlier, it is also a way to impress and wow your guest. Therefore, if you make any poor choice of wedding stationery, then expectation of your guests will also be low. 3. Your wedding card will also tell your guests, how good you are in organizing any event. There are different options available in the market, as far as choosing wedding stationeries are concerned. Let us look at few of them. You can choose a card with a caption “save the date” with short details about your wedding arrangement, so that your guest can make them free on that day. If any of your guests are from different city or country, then they can make their advance travel arrangements in order to be present on that day. With invitation card, there will be complete information like date, time, venue, various events and may be some information about menu too. There will be RSVP at the end of card where all your contact information will be available, so that your guests can confirm about their presence on that day. In case if any guests cannot attend the event then they can also inform you in advance. If you are looking for rustic wedding invites design then either you may create your own design or take help of any professional card designer and get it cut by using laser cutter. You can get really very attractive designed cards, which will become special attraction for your guests who may like to preserve the card too. These days because of many advancements in technology you can get wide varieties of wedding stationeries. Depending upon your available budget and number of guests that you are planning to invite, you can make your choice of stationeries for your wedding.